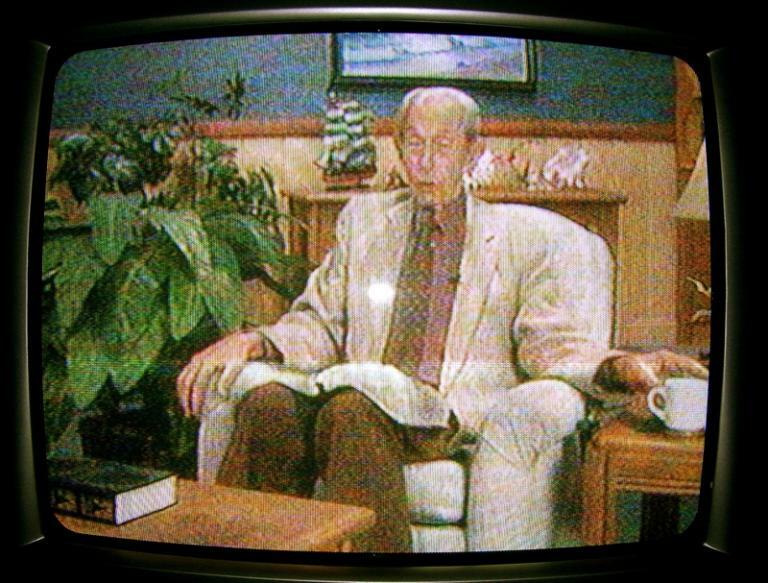 This time the end of the world will be real, says 90-year-old California radio mogul Harold Camping — October 21, so be ready. But he doesn’t sound quite so confident this time. He suffered a stroke shortly after his most recent false alarm — May 21. He’s been in a nursing home. But now, he’s proclaiming new warning. Absent this time are his trusting disciples who traveled across America last spring proclaiming his urgent warning — the Rapture would occur May 21, so be ready when Gabriel’s horn sounds, the sky rolls away and Jesus arrives to judge the living and the dead. Of course, May 21 came and went — despite millions of dollars of billboards and bus-bench signs and rental trucks festooned with his urgent message, all underwritten by donations. TV comedians had a heyday mocking the notion — and pretending to be astonished when the Second Coming didn’t happen as predicted by the owner of the Family Radio network. And you remember Camping’s explanation. The Rapture did actually happen, we just didn’t notice it. Of course, there were questions, such as why was Camping himself still here if the righteous had been snatched up into heaven? Why were there no reports worldwide of millions of missing Christians? Camping said he was “flabbergasted” with the way things happened and explained that May 21 had, indeed, been Judgment Day, but only in a spiritual sense. 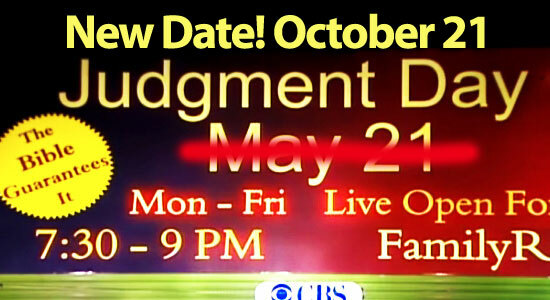 He preached over his scores of radio stations that God’s final judgment would continue right up until October 21 — when the world would be destroyed. Indeed, the founder of Family Radio promised, this time there would be nothing quiet about the global calamity. Now, we learn that Camping took the whole thing badly. He appears to have been completely sincere — having applied a complex mathematical system to what he says are hidden messages in Bible prophecy. In fact, he appeared to be increasingly frail and shaken that his calculations had been off. He turned up in a nursing home after suffering a stroke in June. But now, he’s warning the world again — October 21 is upon us. Be ready! Hello, this is Harold Camping with a few ideas or a few statements so that you can know where I am in this whole picture. I am very, very glad that God has been with me. I’m slowly getting healed, although I still have a long ways to go. There’s been one big change, and that is that I have been able to leave the hospital and now I am able to live with my dear wife at home and that has been very, very comforting and very happy for me. I’m still a long way away from being healed but there is progress being made and at times it looks like it’s very substantial progress, although I still have along way to go. I am particularly grateful when I hear about your prayers and your concerns for my health and well-being and I’m glad that God is answering those prayers. I do believe that we’re getting very near the very end. We [could not] have known… we’ve learned that there’s a lot of things that we didn’t have quite right and that’s God’s good provision. If he had not kept us from knowing everything that we didn’t know, we would not have been able to be used of Him to bring about the tremendous event that occurred on May 21 of this year, and which probably will be finished out on October 21, that’s coming very shortly. That looks like it will be at this point, it looks like it will be the final end of everything. It also looks like that as God is developing the details for us we are learning from the Bible, God’s details of the end. We find that God is not a respecter of persons. He has no pleasure in the death of the wicked, some of them most wicked in the world, like the son of David who rebelled against David and David cried out: ‘I wish that you were me rather than he.’ That was Absalom, of whom we read quite a bit about in the Bible, and it encourages us to believe that all of our unsaved loved ones will not receive special vengeance of God at all. God says ‘vengeance is mine,’ and that means that He’s going to apply the vengeance that He wants to apply. And when we study the historical record of his application of vengeance, taking for example the prime illustration – the son of David who rebelled and wanted to take the throne and then saw David weeping and wailing over him. We must believe that probably there will be no pain suffered by anyone because of their rebellion against God. This is very comforting to all of us, because we all have children, and have loved ones that are dear to us that we know are not saved; and yet we know that they’ll quietly die. We can be more and more sure that they will quietly die and that will be the end of their story. Whereas the true believers will quietly receive the new heaven and the new earth. I really am beginning to think as I restudied these matters that there’s going to be no big display of any kind. The end is going to come very, very quietly probably within the next month. It will happen, that is, by October 21. In the meanwhile, oh my, it’s been so good to hear about those who are continuing to be faithful. They, undoubtedly, are the elect of God, and we know absolutely that the elect will be saved. There is no question at all about that. And we know that there are in the Family Radio many who have been so faithful and are remaining faithful right to the end. Praise God for that. What about the redeemed? Will God’s faithful rise to meet Him in the air? Camping says Christians will, indeed, be snatched up. On October 21. So, be ready.